Faculty from Louisiana Tech University’s biological sciences and biomedical engineering programs teamed up with art faculty from the School of Design to provide students with a unique opportunity to use their talents to promote Louisiana Tech’s New Frontiers in Biomedical Research lecture series. 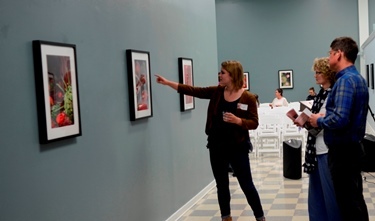 Visitors peruse digital artwork created by Louisiana Tech students during an exhibit and auction at the Enterprise Center. 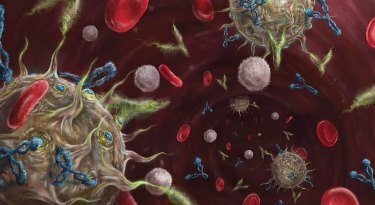 Digital artwork designed by Almira Bradford for the New Frontiers in Biomedical Research Series.